In 2018, Simon Bode made his Salzburg Festival debut. 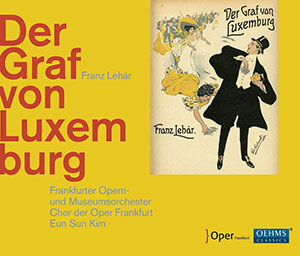 Until the summer of 2016, the tenor performed in numerous new productions and revivals at Oper Frankfurt. In 2017 and 2018, Simon Bode made his role debuts in new productions as Wilhelm in Henze‘s Der junge Lord, Chevalier in Poulenc’s Dialogues des Carmelites, Narraboth in Strauss‘ Salome and as Orsino in Trojahn’s Was ihr wollt at Staatsoper Hannover. As a guest, Simon Bode performed at Opéra National de Bordeaux and Bregenz Festival, was singing Mozart’s Don Ottavio in Don Giovanni at Theater Basel as well as at De Norske Opera in Oslo and Belfiore in La finta giardiniera at Niedersächsische Musiktage, followed by his Orfeo debut in Haydn’s L’anima del filosofo ossia “Orfeo ed Euridice”. At Hessische Staatstheater Wiesbaden he performed Zender’s Winterreise in 2017 and returned to sing Don Ottavio in Mozart‘s Don Giovanni in 2018 and Narraboth in a new production of Strauss’ Salome in 2019. The tenor performed at Internationale Händel Festspiele Göttingen and Schleswig-Holstein Musikfestival, with Bochumer Symphoniker, Münchner Rundfunkorchester, NDR Radiophilharmonie, Ensemble Modern, Les Talens Lyriques and under the baton of conductors including Pierre Cao, Peter Eötvös, HK Gruber, Konrad Junghänel, Andrew Manze, Andrea Marcon, Kent Nagano, Erik Nielsen, Ivan Repušić, Ulf Schirmer, Sebastian Weigle. The Lied recitalist has sung in the concert series “Neúes Werk” (New Work) at NDR Hamburg, repeatedly at London’s Wigmore Hall and at Festivals including Beethovenfest Bonn, deSingel Antwerp, Festival Mecklenburg-Vorpommern, International Music Festival Heidelberger Frühling, Kissinger Sommer, Ludwigsburger Schlossfestspiele, Rheingau-Musik-Festival. Simon Bode’s chamber music partners include pianists Graham Johnson, Igor Levit, Nicholas Rimmer as well as the accordionist Elsbeth Moser, with whom he has performed many works and world-premieres outside of the standard concert repertoire. For PR only, we offer selected portraits of this artist to download.